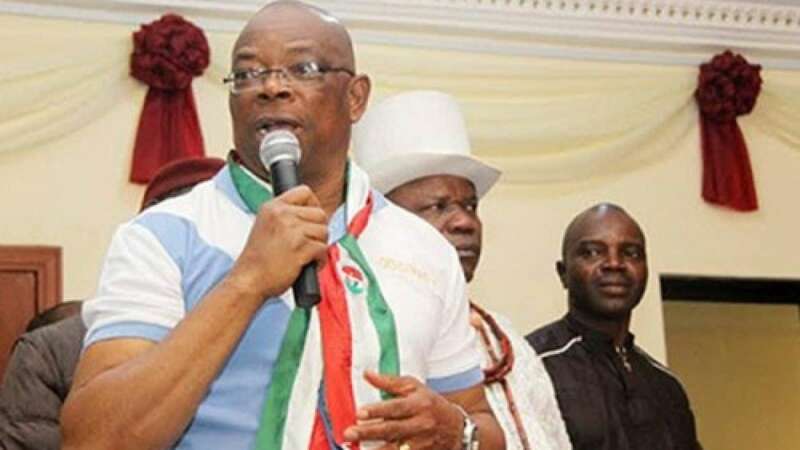 The Political Adviser to the Peoples Democratic Party (PDP) National Chairman, Senator Ighoyota Amori, has said that the party has enough credible candidates for the 2019 presidential election. Amori told the News Agency of Nigeria (NAN) on Sunday, that the PDP had people that could defeat President Muhammadu Buhari. “I can tell you that we have more than enough credible candidates or aspirants in PDP for the presidential race,” he said. “If you look at all the people that left PDP because they were being hunted, the moment they join the ruling party they become saints. Once you join APC nobody can prosecute you,” he added. Amori, who spoke on the acceptability of PDP after its 2017 national convention said, “rebranded PDP still remains an acceptable and embraced party to the citizens. The senator said though few candidates in the convention were aggrieved, the Reconciliation Committee chaired by Gov. Seriake Dickson of Bayelsa was able to resolve the issues. “Apart from Prof. Tunde Adeniran almost every other person that contested with Prince Uche Secondus for chairmanship are back to the PDP. Chief Bode George, Gbenga Daniel, all of them are back to the party. “PDP is getting stronger. This is the beauty of democracy. People disagree and agree again,’’ he said. Amori expressed optimism that Prof. Jerry Gana and Adeniran who left the party would soon return. “I believe they should be allowed to exercise their right of association, right to enter and to leave. But I believe with time they will come back because they are foundation and senior members of PDP,’’ he further stated. He said that both Adeniran and Gana were senior members, who had benefited from the PDP. Amori said it was not good that the duo left just because they could not realise their ambition this time out of so many opportunities they had enjoined in the PDP. “It is not enough for you to say you will go and start something fresh. It is not easy to start a new party, unless you just put the party for the fun of it,” he noted.